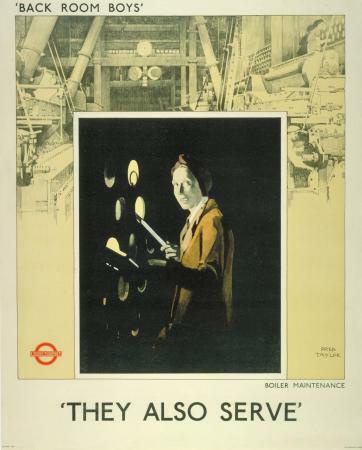 During the First World War the Underground Group's posters took on a propaganda function, in addition to their publicity role. Frank Pick commissioned prestigious artists to produce recruitment posters which supported those published by the government. 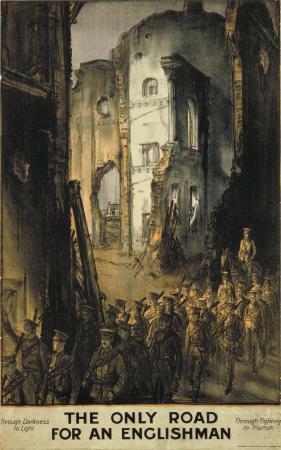 Designs ranged from the graphic realism of Frank Brangwyn, through to the more typical depiction of war as an idealised struggle. 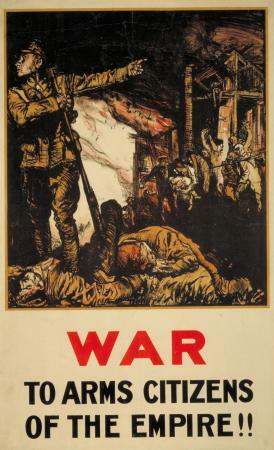 Before conscription was introduced in 1916, recruitment posters encouraged men to volunteer, either through romanticised imagery or implications of cowardice. During the early years of the war, the Underground continued to promote leisure travel. This presented the public with a rather mixed message. As the war continued, non-essential journeys were discouraged and the objectives of all posters were driven by the war effort. 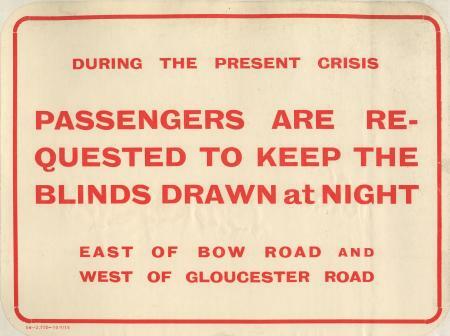 Posters also advised passengers and staff on new war-time safety procedures, particularly in relation to air raids. Other posters gave more general advice to war-workers and servicemen unfamiliar with the tube. In 1916, the Underground commissioned a series of posters to send to British troops serving overseas. The brief called upon artists to 'awaken thoughts of pleasant homely things'. Romanticised imagery of rural England was a popular theme, often reinforced by extracts from poetry. 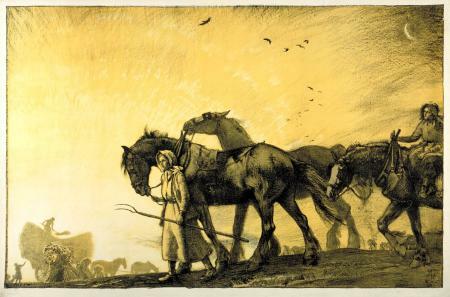 Joseph Walter West's poster, Harvest, depicts a traditional pastoral scene. The only indication of its being wartime is the absence of men from the British countryside, the harvest is being carried out entirely by women.